Live at Oakland Coliseum, Oakland, California, USA, Nov 9, 1969, SECOND SHOW. Remastered from the original 5 inch master reels. Invented to capture live sound from remote locations during filming, the portable tape recorder could also double as a device to record a live concert. But how would it compare with a professional recording? The father of the modern bootleg, "Dub", answered any doubts on quality when he and his partner Ken issued LiveR Than Youll Ever Be, on their TMoQ label [Trademark of Quality]. 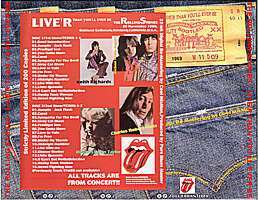 On LiveR was the second set The Rolling Stones played at the Oakland Coliseum in November, 1969, on the US tour that made their fame. 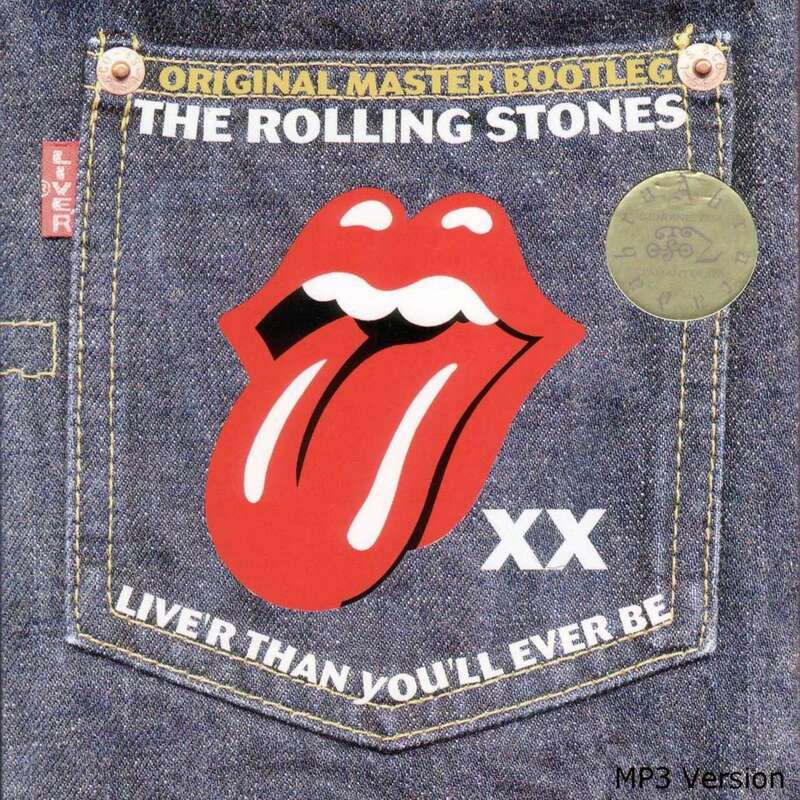 The quality made Rolling Stone magazine endorse the bootleg as a legitimate recording with a proper album review. Did the bootleggers have access to the soundboard and were the tapes bought from an insider? According to Taranturas liner notes for their remastered reissue, "Dub acquired a Sennheiser 805 shotgun microphone and a UHER 4000 5-inch reel-to-reel recorder." This was state-of-the-art recording equipment at the time. Dub placed the equipment on stage in front of the onstage monitor speakers to capture the show as the Stones themselves heard it. Listening to it today, you can guess it was not too close to Charlie Watts drum kit, sparing us an ear-splitting headache. The guitars and Mick Jaggers vocals carry the show from strength to strength. Mick Taylors fluid solos are a delight to hear. The speed with which Dub issued his vinyl bootleg in December 1969, about a month after the show, and the enthusiastic reception it received among fans and music critics shocked the Stones record company. Decca had also recorded the Nov 27 and 28 shows at Madison Square Gardens in 1969 but had no plans for a release date. 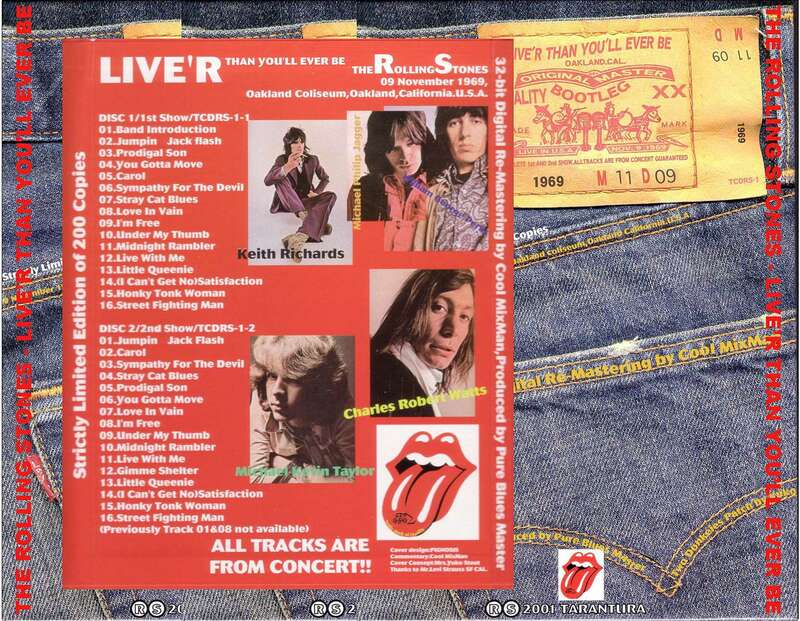 But with demand for live shows on the Stones US tour, Decca finally released their own Rolling Stones live album, Get Your Ya Yas Out on Sept 29, the following year, 1970. It was rumored to have been heavily doctored in the studio by The Stones for sonic perfection. It would have been an embarrassment to publicly acknowledge the bootlegs quality. It had 10 tracks compared to the bootlegs 16 which was the complete show from start to finish. This Tarantura edition from Japan was mastered in 2001 using the original 5-inch reel masters and the defects on Jumping Jack Flash [Tk1] and Under My Thumb [Tk 9] have been corrected using todays studio equipment so they are finally suitable for release. 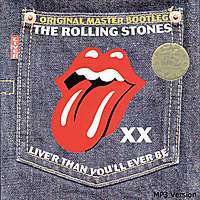 All previous versions of this bootleg used two different sources other than the Oakland show to substitute for the two tracks. Hear for yourself, The Rolling Stones liver than theyll ever be, ever again. Click here to read the history of this recording. Mastered by Cool MixMan in 2001.